Here’s a great example of the preferred single stateroom 43 Bertram Convertible. She’s powered by a pair of low hour Detroit 6V92 Detroit DDECs. Along with recent electronic upgrades, new washer and dryer, new enclosure pieces, and avid service, this Bertram is turn key. 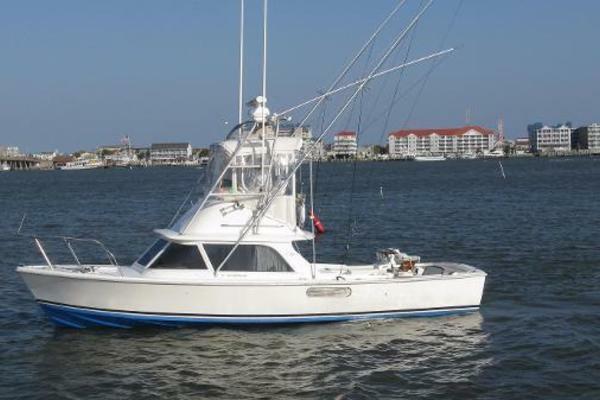 United Yacht Sales New Jersey would love to guide you through a personal showing of this 43' Bertram Convertible 1995. 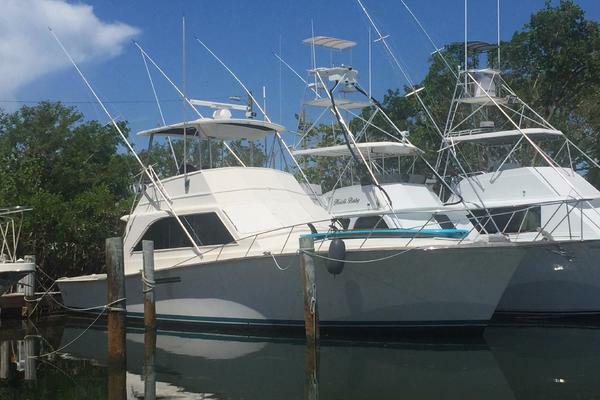 This yacht for sale is located in North Kingstown United States and priced at $174,500. For a showing please contact us by filling out the form on this page and we will get back to you shortly! The master is forward with a centerline queen berth. There is an overhead hatch with screen and there are reading lamps on the bulkhead. On starboard is the head with stall shower. Across on port is the new washer/dryer and a huge laundry storage area. Next aft on Starboard is a nicely equipped galley featuring corian countertops, two burner stove, under counter Sub Zero refrigerator and freezer, and a combination convection/microwave oven. There is a dinette across from the galley with seating for 6. Up two steps is the salon. A beautiful blue leather L-shaped settee is port and aft. There is a barrel chair, ample storage, and an entertainment center with TV and stereo.